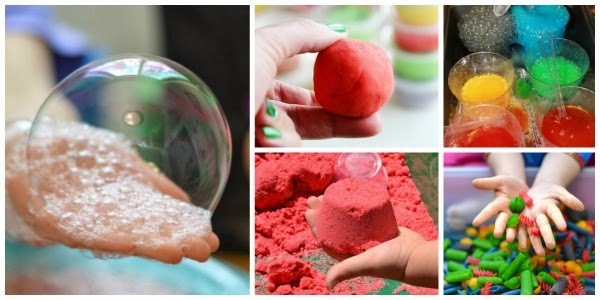 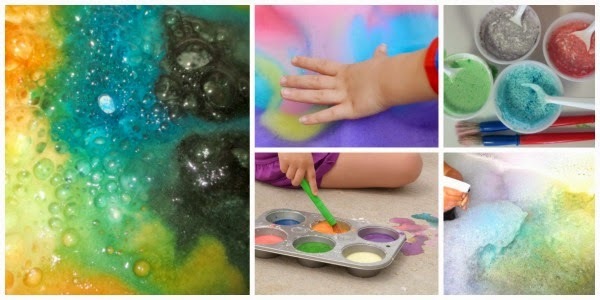 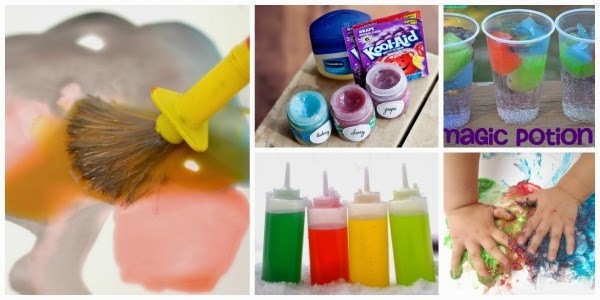 Kool-aid is so inexpensive, and there are so many fun ways to use it in play! 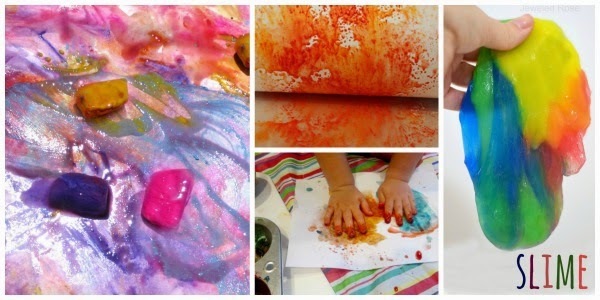 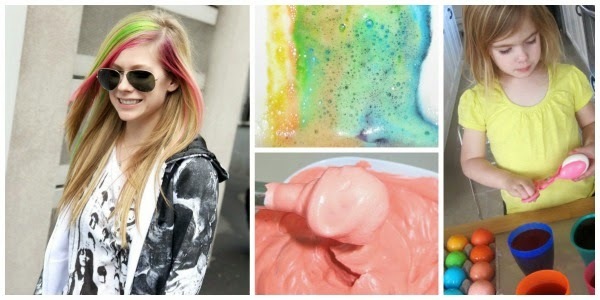 We have found so many ways to play with kool-aid ourselves, and so have many others kid sites around the web. 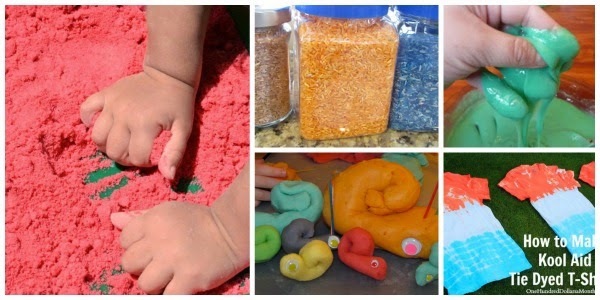 I scoured my favorite sites and collected thirty here, and I am sure there are more!